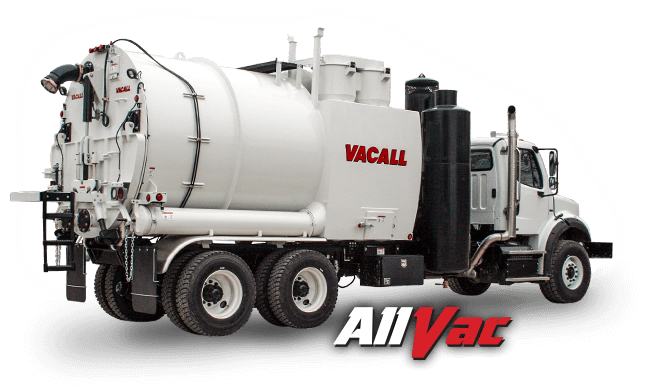 Industrial vacuum loaders perform the challenging task of removing large amounts of industrial waste and debris from hard to reach places and transporting and offloading that waste. 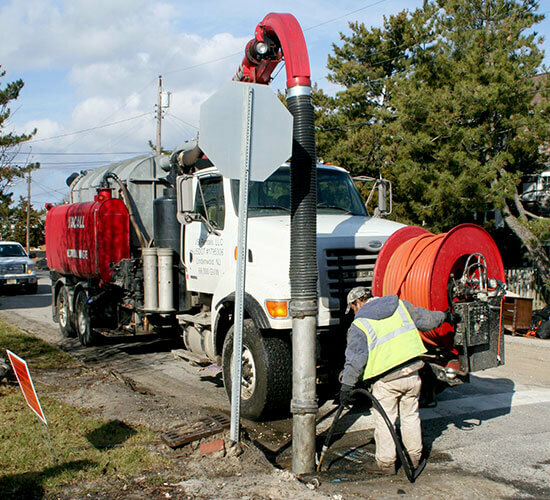 This process can be used to remove wet or dry materials, including fine powder and silt, liquids, slurries and thick sludge. 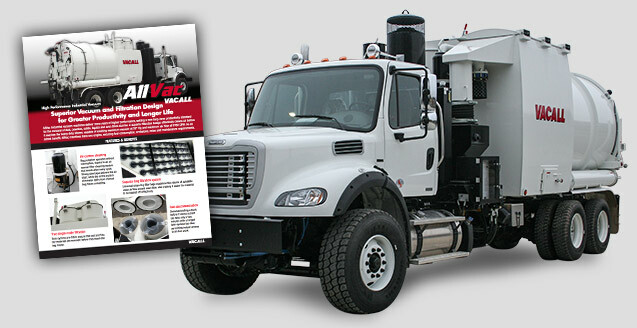 They are ideal for working in tough environments like steel mill furnaces, pits, tanks, conveyors and more. And can even be used for material reclamation and recovery for reuse. 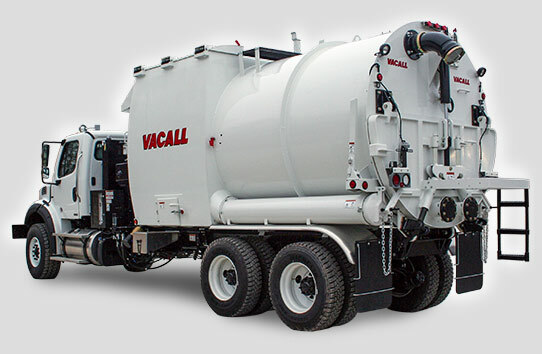 Vacall’s AllVac industrial vacuum loaders use the industry’s greatest vacuum forces and filtration design to collect industrial waste and debris and transport for offloading. 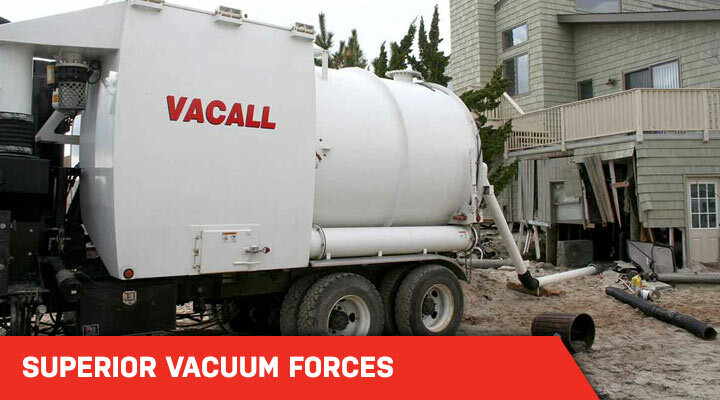 The industry’s greatest vacuum forces handle demanding industrial work, removing dust, powders, solids, liquids and thick slurries. 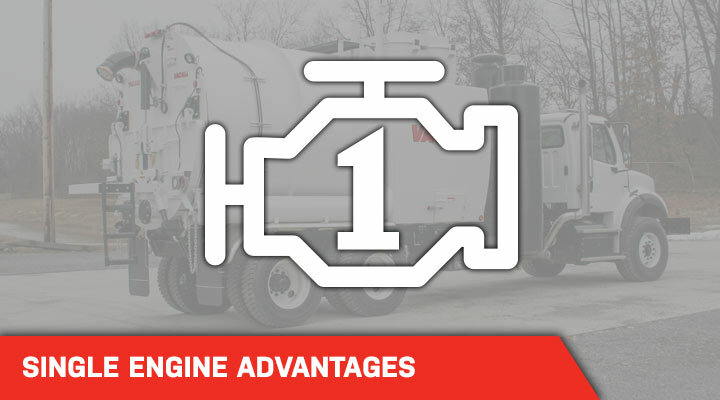 Power for the chassis as well as vacuuming is provided by a single engine, resulting in less downtime for routine service on a second engine, reduced fuel consumption, and makes Vacall industrial vacuum loaders a friend to the environment.